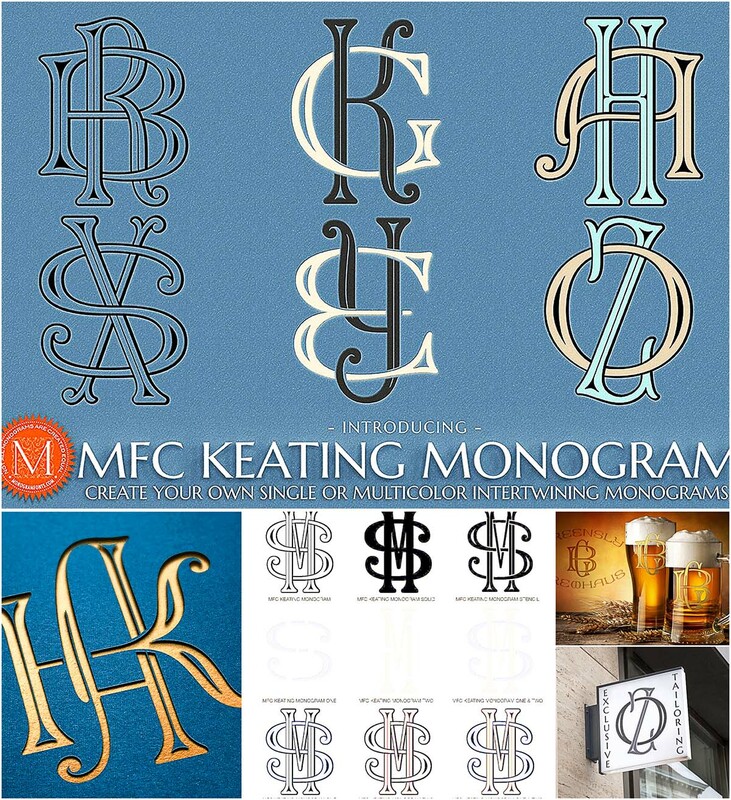 Keating Monogram can create one, two, or three letter monograms as well as a unique two letter intertwined monogram style. 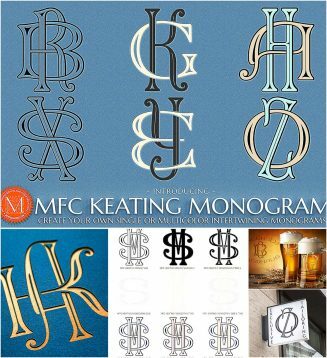 Classic decorative letterforms combine to make elegant monograms, and you can also choose to type in all capitals or all lowercase for simple title and headlines as well. File format: .otf, .pdf for Photoshop or other software. Tags: interwined, invitation, label, logo, monogram, stamp, stencil, vintage.